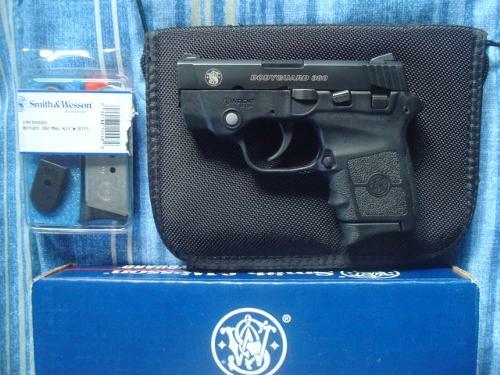 For Sale: Smith & Wesson 380 Bodyguard with integral Laser sight. Have box, manual, soft case, tools, etc. Very low round count (1 box), like new. Also included is an extra new factory magazine. If interested PM for more info. $295 plus transfer fee.